I’m no expert in color photography, but I know what I like. These images from various mid-thirties publications fairly leaped off the page toward me. I was resolved to share them here, and promise there will be many more to come. 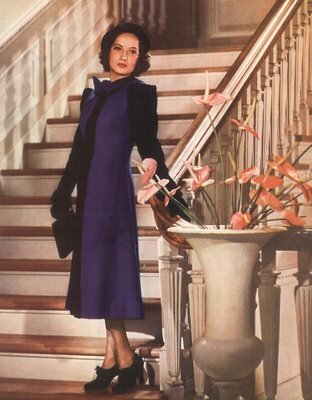 I’m told that three-color photography really started to come into it’s own around 1935, and this was about the time Hollywood began to embrace color as a means of publicizing stars and the movies featuring them. Fan magazines were slower to incorporate color. It was an expensive feature for otherwise cheap publications, but what a thrill it must have been for Photoplay readers to open a 1939 issue and find Bette Davis in a full-color fashion lay-out, or Kay Francis, or Merle Oberon. A lot of magazine purchases were probably inspired by a glimpse of these striking figures. By the forties, color was much more commonplace, but never common. Studios competed to provide the most stunning muti-hued portraits for insatiable collectors to paste in their scrapbooks. Here is but a sampling, but rest assured, we’ll be back with more of them! 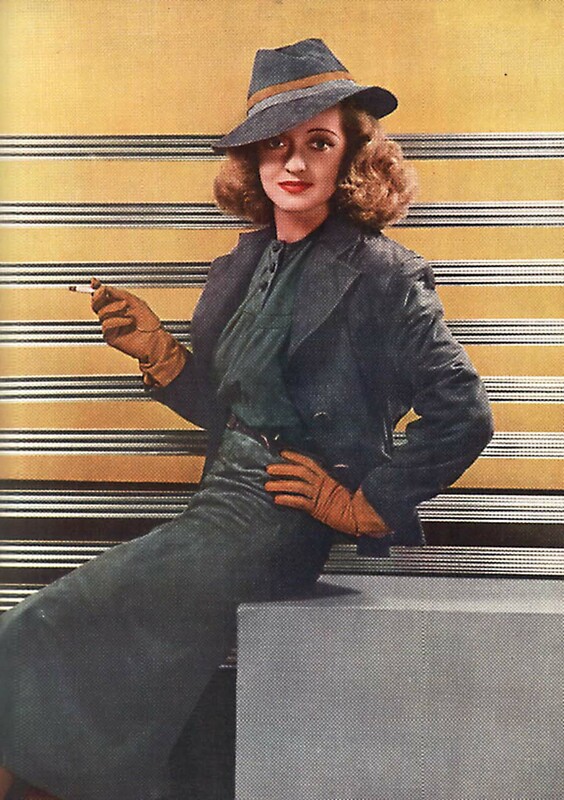 What a stunning photograph of Bette Davis. What a funny thing. 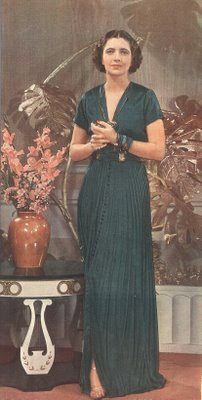 I just saw the movie Trouble in Paradise with ----Kay Francis. The last photo is Kay isn't it? Anyway, that movie was great! Very funny. I recommend it to anyone. 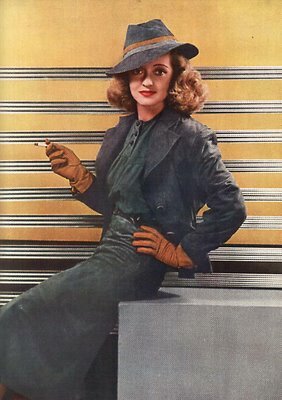 I have to agree great photo of Bette.